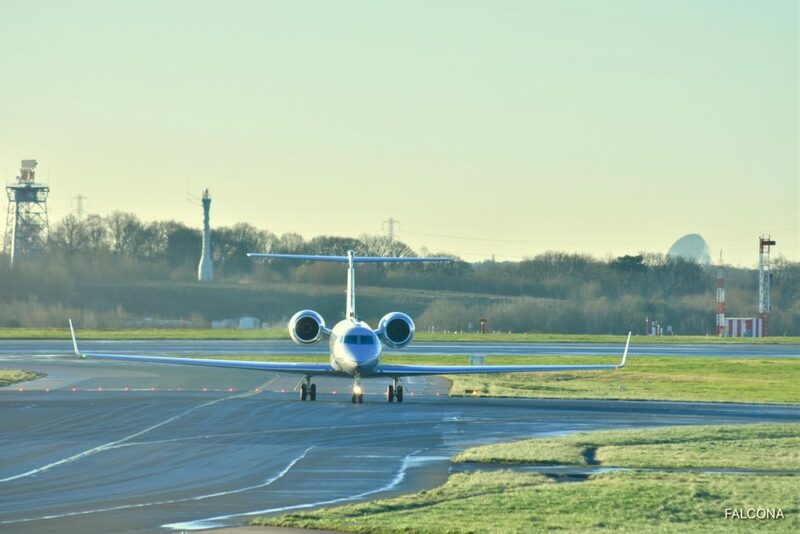 Distance x Speed = Time Saved. 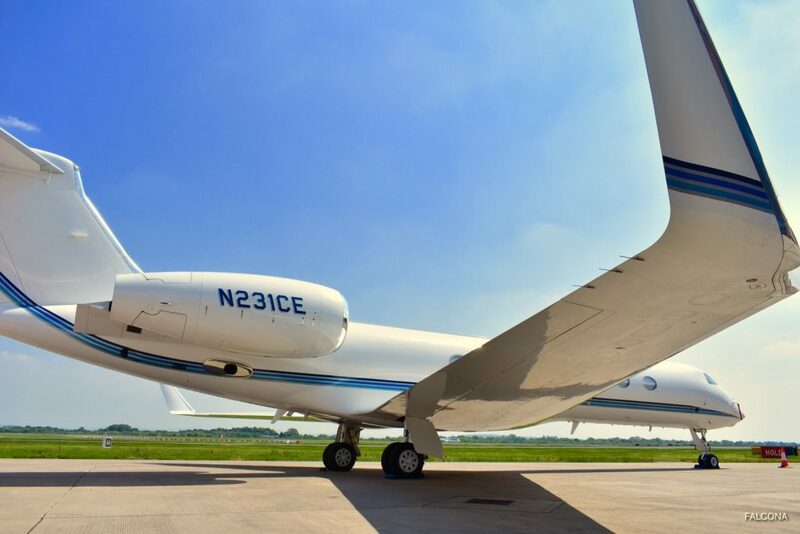 Whether it’s a two-hour hop or a 14-hour nonstop flight, the Gulfstream G550 offers flexible cabin design to satisfy a variety of travel needs. 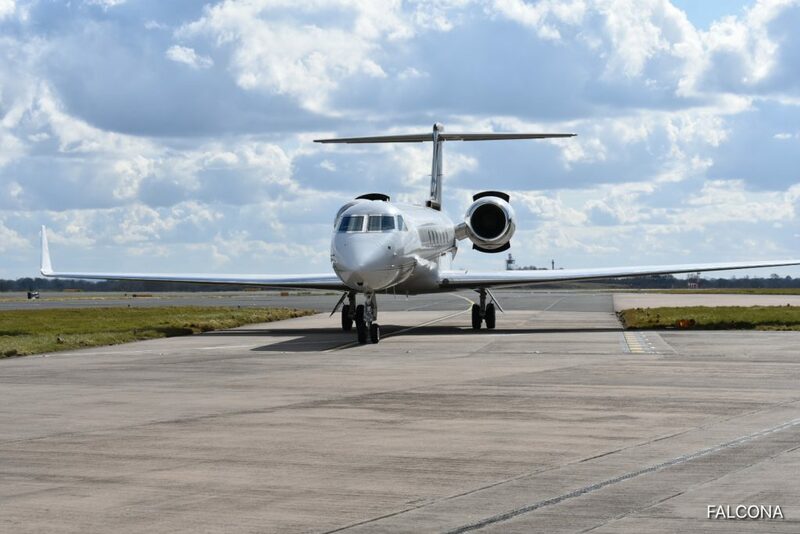 The G550 has the efficiency to fly 6,750 nautical miles/12,501 kilometers nonstop, but also is capable of operating out of short-field, high-altitude airports. Payload is a plus, too.The G550 can transport up to 16 passengers and still has the range to fly non-stop more than 12 hours. 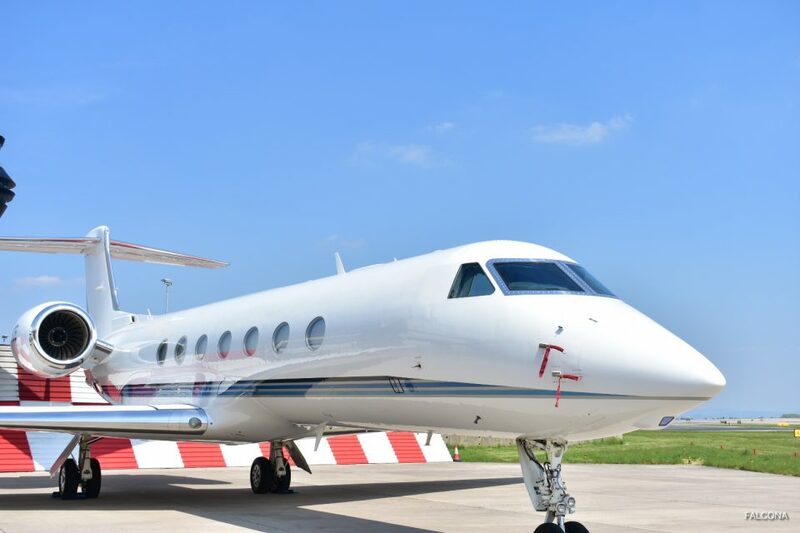 Powered by two Rolls-Royce engines that provide the most thrust of any jet in its class. 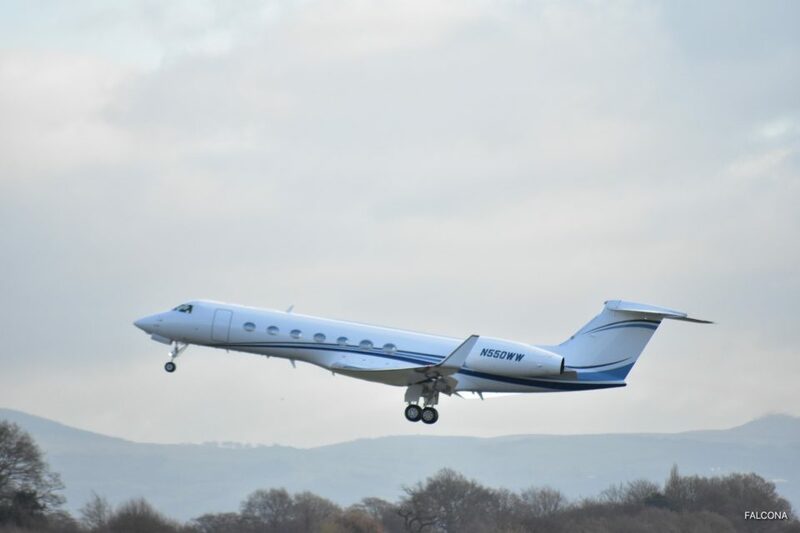 The G550 flies from Shanghai to Los Angeles or New York to Dubai non-stop at Mach 0.80. 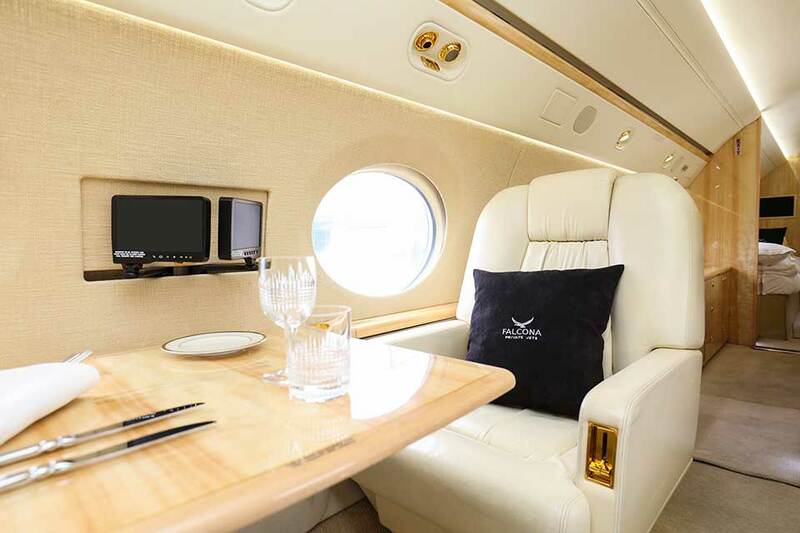 London to Tokyo or to Los Angeles is non-stop at Mach 0.85. 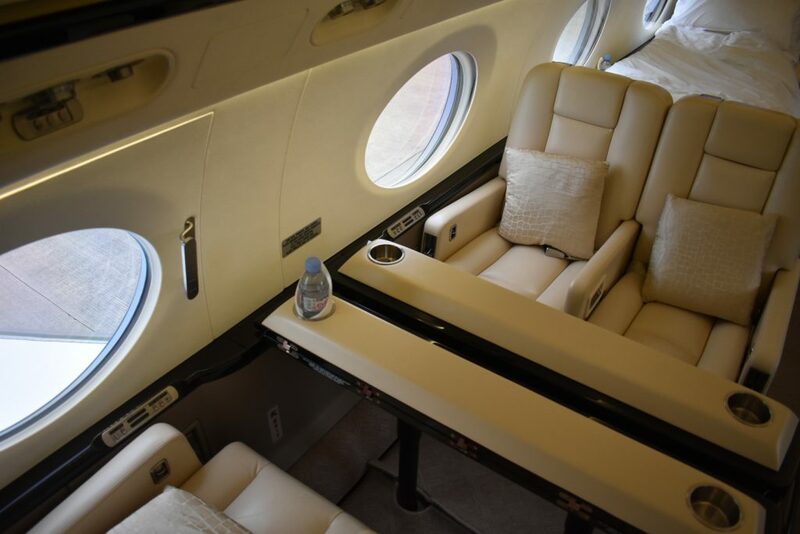 The G550’s quiet interior also improves the cabin experience. Advanced sound suppression techniques keep engine noise where it belongs―outside the aircraft. 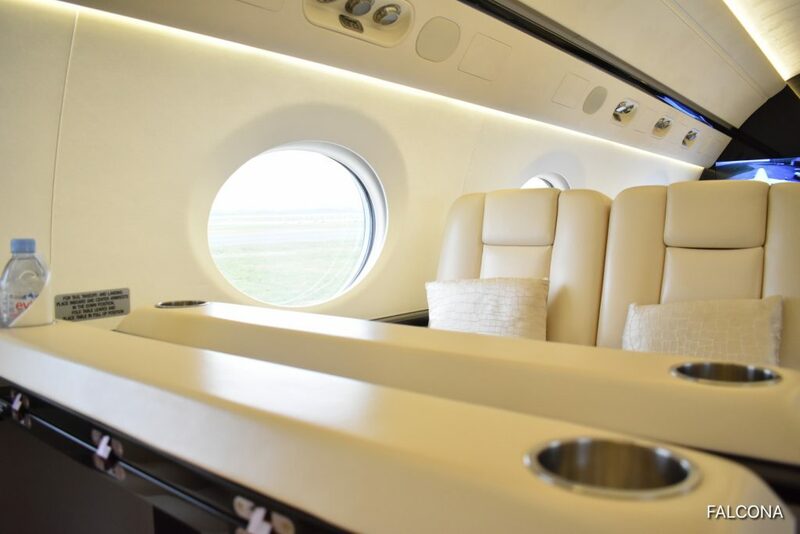 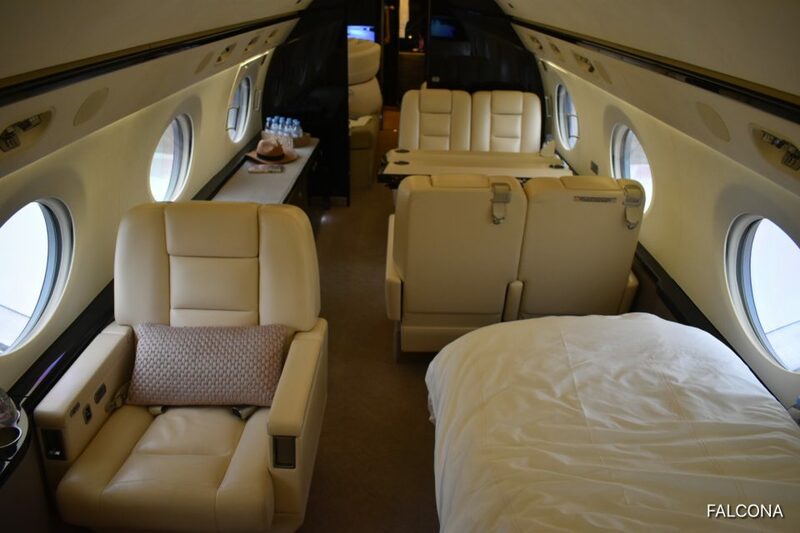 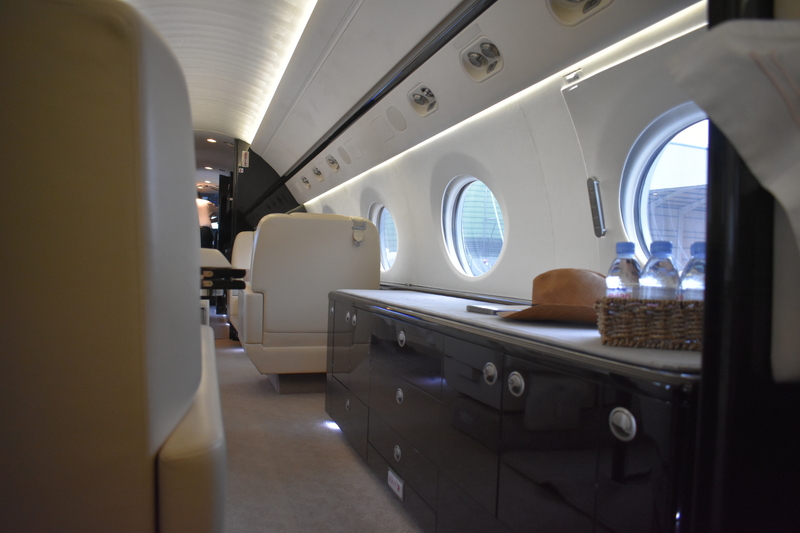 Whether it’s a two-hour hop or a 14-hour non stop flight, the Gulfstream G550 offers cabin configurations to satisfy a variety of travel needs. 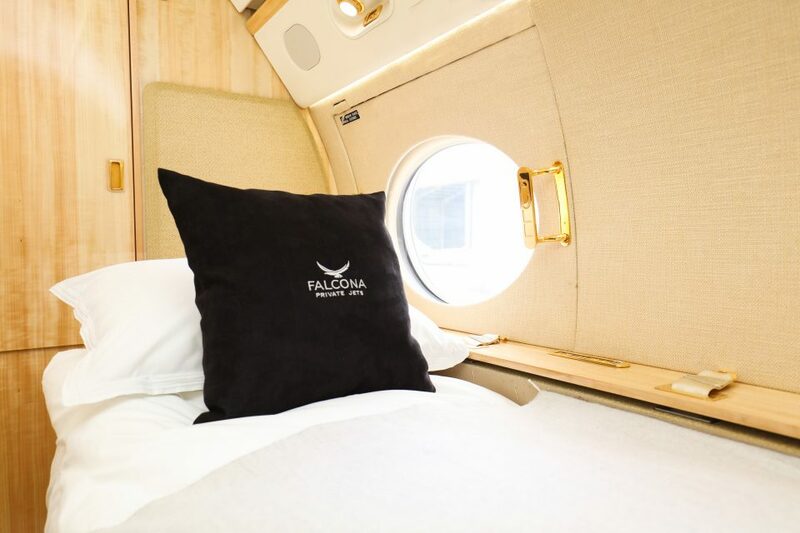 Some layouts accommodate beds for seven people, and the option of multiple seating areas creates a combination of uses, including a dedicated crew rest area, a private stateroom, conference area and entertainment space. The main passenger cabin has three sections, usually including a forward, four-chair club section and a variety of different layouts in the mid and aft cabin that can be configured with a four-seat conference grouping, credenza, four-place divans and pairs of facing chairs, among other furnishings. 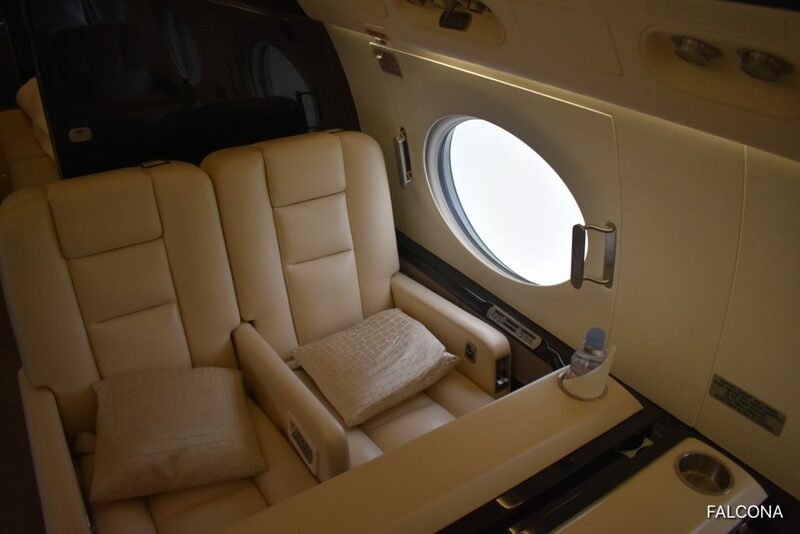 Virtually all aircraft have an aft lavatory. 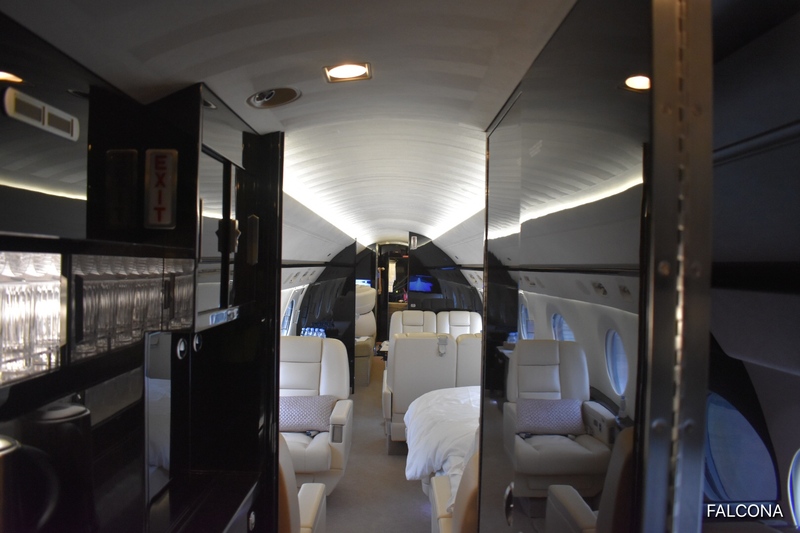 The baggage compartment is accessible through a rear door in the lavatory. A sizeable number of aircraft are configured with aft galleys instead of forward galleys, providing more storage volume and serving prep area.